Reference reach data is collected from an undisturbed channel segment just upstream of the project. This data serves a the basis for natural channel design efforts. 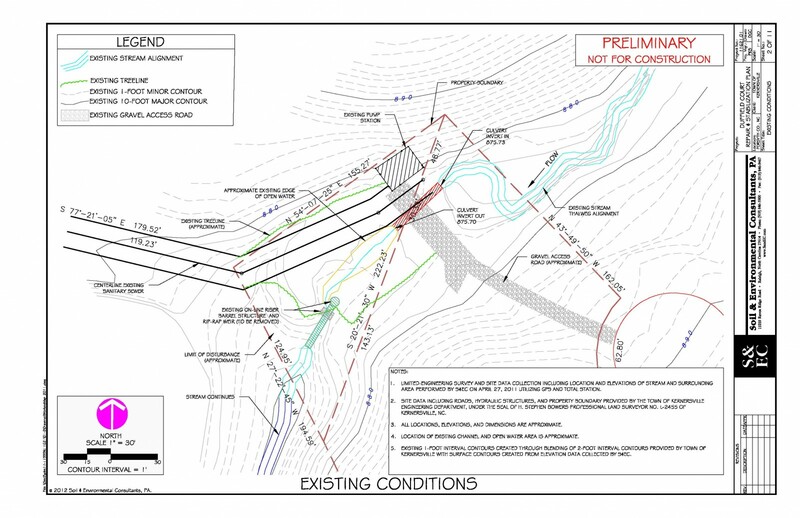 S&EC prepared design plans for the restoration of approximately 120 linear feet of Piedmont stream and its associated riparian buffer along an unnamed tributary to Smith Creek in Kernersville, NC. The project, situated adjacent to an existing sanitary sewer easement and pump station proposes the removal of an existing on-line sediment basin and riser structure which has fallen into disrepair. Complicated site conditions including an existing sanitary sewer easement and pump station can present challenges in restoration design and implementation. 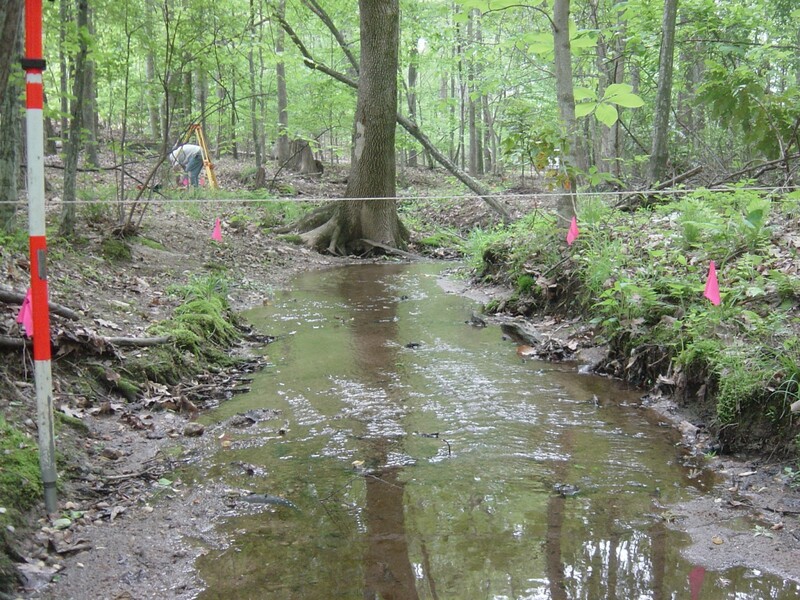 Project services included evaluation of existing impaired/impacted site conditions, the development of a conceptual restoration plan, and the development of construction documents utilizing collected reference reach data and Rosgen-based natural channel design methodologies for the stream restoration. Services also included U.S. Army Corps of Engineers (USACE) and N.C. Division of Water Quality (DWQ) regulatory coordination and environmental permitting. The project has obtained all necessary permits and is pending construction.